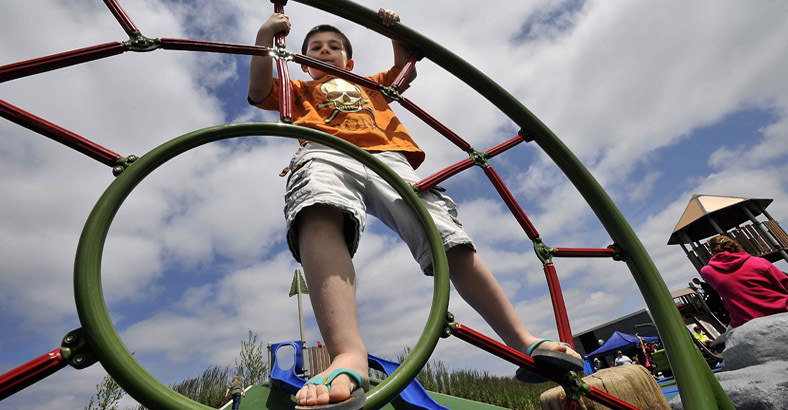 The SERA (South End Recreation Area) Playground and Sprayground transformed a large swath of vacant land within the 75-acre SERA campus into a vibrant park for the Tacoma community. 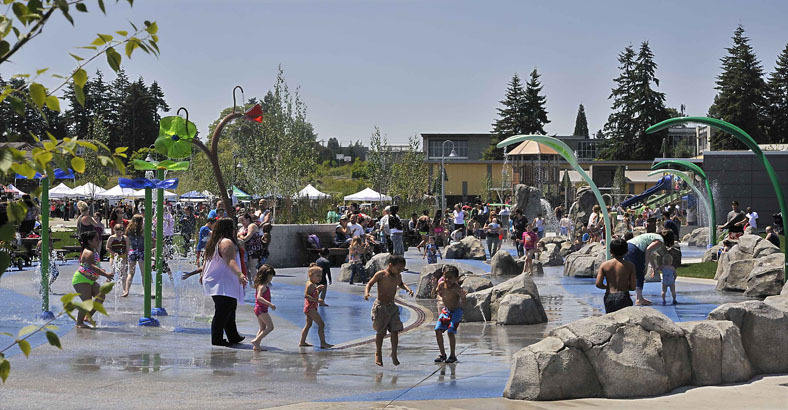 Built as part of the second phase in a multiphase master plan designed by Bruce Dees & Associates, the new 5,000 square foot sprayground and 6,000 square foot playground have revitalized this South Puget Sound neighborhood. Located at 3873 South 66th Street, the SERA campus serves users within the entire Metro Parks and surrounding districts. Since its grand opening, people from outside Tacoma and even the county have traveled to SERA to enjoy the new facilities. 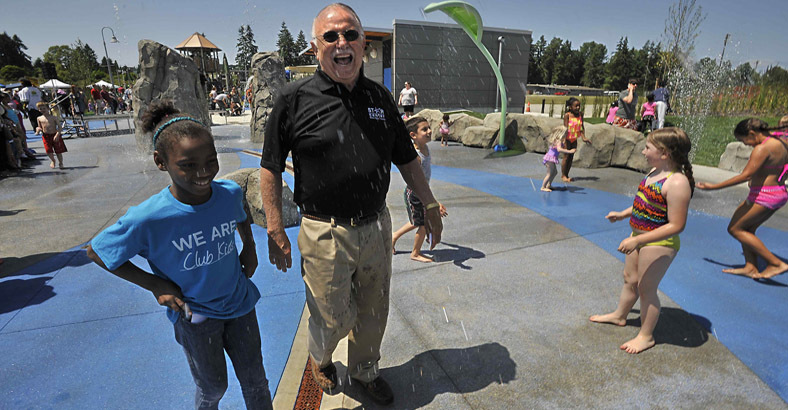 The first phase of the SERA Master Plan included the construction of the STAR Community Center as well as landscaping and stormwater ponds for site runoff treatment. 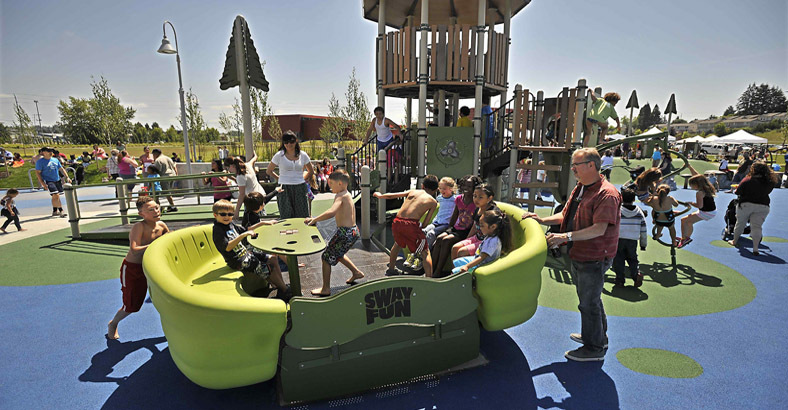 Phase II saw the installation of the playground and sprayground, the construction of a restroom facility and mechanical room, and improvements to the park landscaping including a grass event lawn, benches, lighting, and planted berm areas. The next phase of the project may include a farmers market area, improvements to the event lawn, a plaza connection to the STAR Center, a new synthetic turf multi-use field, and parking. 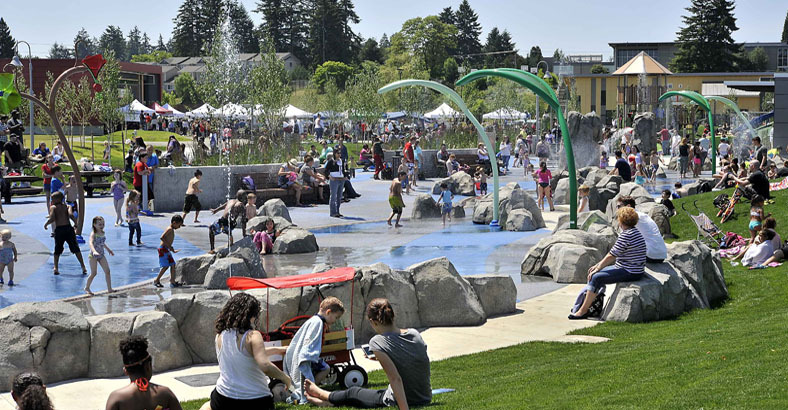 To see the entire master plan, please visit the Metro Parks Tacoma website.